WALNUT FINISHED WOOD. LEGS FOLD IN. 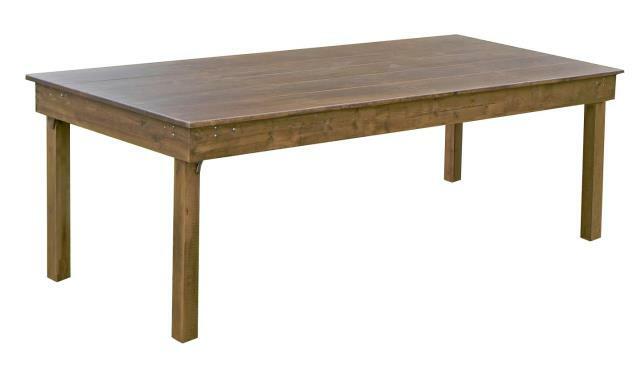 * Please call us for any questions on our table farm table 8ft rentals in Kalamazoo MI, and Southwestern Michigan.